The Sweet 16 teams are officially set and right now you’re either crying over a busted bracket or happy you’re still “in the game”. Or you maybe wondering why people always make such a fuss about March Madness and what a busted bracket even means? Whether or not you get into March Madness you have to respect the amount of time and effort that goes into each season and the level of commitment for each student-athlete. Recently reading the book The Art of Coaching Extreme Talent by John Calipari, Kentucky Wildcats head coach, I was struck by the leadership principles he uses with his team and how similar they are to the principles we use working with companies such as yours. Here’s a few of the principles I have reflected upon as I’ve watched the games this week and a few favorite Calipari quotes from his book. It’s not about how people work but how they work together. These are some great points to evaluate with your own teams and see how each member is contributing and where there might be a breakdown with your team. 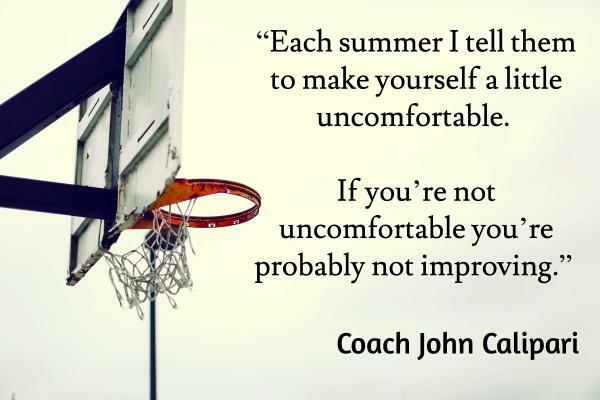 If you’re not uncomfortable you’re probably not growing. Of course it is good for your teams to have weeks where tasks and projects are running smoothly and systems are in a groove but at the same time if your team is getting cozy and comfortable, it may be a warning sign that growth isn’t happening. Discern where your team is and consider if it is time to push the bar, make things uncomfortable (in a good way), and discover what your team’s limit really is. Someone who measures his own success by the success achieved by those around him. Building a great team that “wins” the majority of the time isn’t easy and isn’t achieved over night. The great leaders know that for others to follow their lead, they have to be first willing to put in the work and show that they will go the extra mile first. By demonstrating to your team you’re willing and wanting to help them, they will begin to reciprocate your effort and begin to go the extra mile for you.